The Keeper's House Inn, an operating lighthouse station located on the remote island of Isle Au Haut, sits atop rugged ledges overlooking the Atlantic, surrounded by dense spruce forests and island panoramas. Built by the U.S. Lighthouse Board in 1907 and now on the National Register of Historic Places, the restored lighthouse station is a living museum where guests can take a step back in time to experience the beauty and solitude of another era. The journey that brings you to the Keeper's House Inn is an adventure in itself. 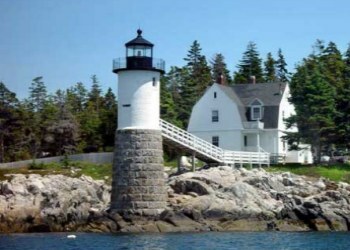 The scenic, circuitous 36-mile drive down the Blue Hill peninsula from Route 1 to the fishing village of Stonington can be slow, so allow enough time to enjoy galleries, villages and vistas along the way. Guests of the Keeper's House Inn depart from Stonington on the mail boat which serves the island fishing village of Isle Au Haut. Following a forty-minute cruise through a labyrinth of untouched islands, the boat will arrive at the inn's dock. 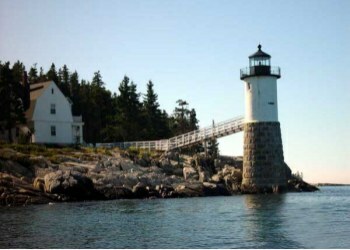 This Maine bed and breakfast is down the shoreline from the village, far removed from telephones and power lines, automobiles and tourists. 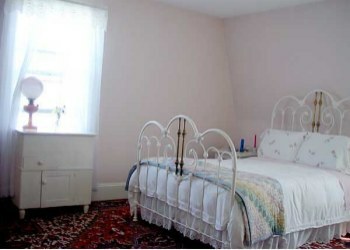 Our guest rooms and cottage are airy and cheerful, furnished with painted antiques, double beds, coastal memorabilia and island crafts. 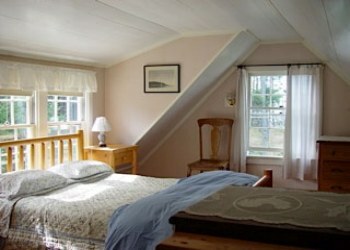 All rooms have exceptional views. At night, only wind and the waves serenade the rose-colored blink of the light tower. Evenings at the Inn are illuminated by the glow of gaslights, candles and kerosene lanterns. Three other lighthouses wink across the horizon. 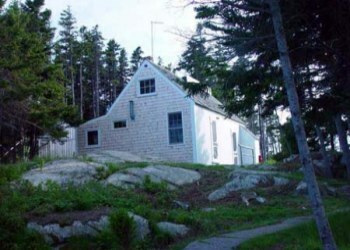 Woodshed Cottage is nestled beside the light keeper's house, surrounded on three sides by water and featuring dramatic open sea to the south, Isle au Haut Thorofare views to the north, woods and happy chickens on the east. Nice private bath. A full kitchen allows you to provide for your meals. Also, downstairs is a large living/dining area. Sleeping quarters are up the spiral stairs: here you'll find an airy dormered room with a double bed and a terrific water view and an adjacent small study, suitable for vacation projects or an additional guest. This post and beam was originally used by the lighthouse keepers as a barn and storage building, but it's now snug and cozy with its own heating stove, music system, linens and towels and everything you need for cooking (bring your own provisions or shop at the Island General Store, a mile and a half away by bicycle (or catch a ride on the "Green-machine" or in the outboard with Jeff and Judi on their daily excursions into town to pick up mail), or hook up with one of several island cooks for an incredible catered meal).